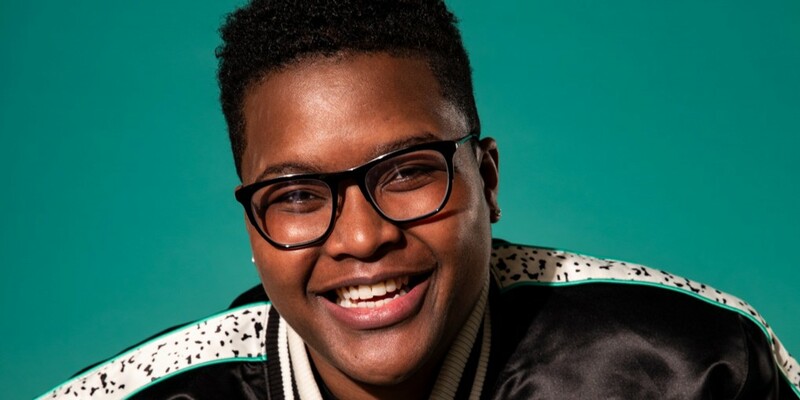 Emmy nominated writer and Variety’s 10 Comics To Watch for 2018 Sam Jay presents her debut UK performance at Soho Theatre from Monday 17th – Saturday 22nd June. Tickets can be found at Sohotheate.com. In the past year, the Boston born comic made her Netflix debut on The Comedy Lineup, released her hip-hop comedy album Donna’s Daughter with Comedy Central Records, while her writing work for Saturday Night Live received an Emmy nomination for her unique style, refreshing perspective and devil’s advocate bravado which have made her one of the hottest comedy prospects in America. With regular appearances on U.S. television, Sam is the host of Ricking Morty; the Rick and Morty post-show on Adult Swim. She has also guest starred in Season 5 of Comedy Central’s Broad City, featured with a recurring role on TV Land’s sitcom Nobodies, and is a cast member of MTV’s Safeword. Sam has performed stand-up on ABC’s Late Night with Jimmy Kimmel, and performed a 30 minute set on Comedy Central Presents. Her other TV credits include Comedy Central’s White Flight and The Meltdown with Jonah and Kumail, as well as Viceland’s Party Legends and Flophouse. Sam’s writing credits include the 70th Primetime Emmy Awards, the MTV Movie & TV Awards.